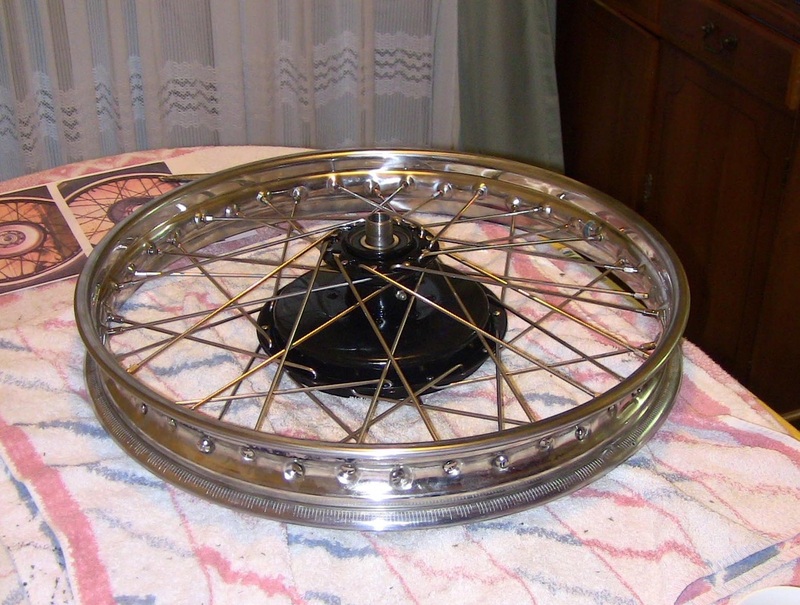 Building new wheels, take lots of photographs of the spoke patterns of the old wheels before dismantling. Measure any offsets that is hub to rim. 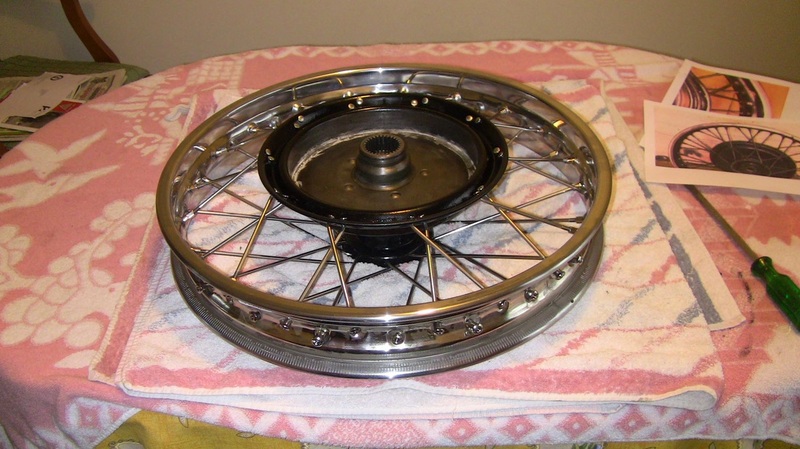 The Sunbeam rims I found were centrally spaced on the hubs. 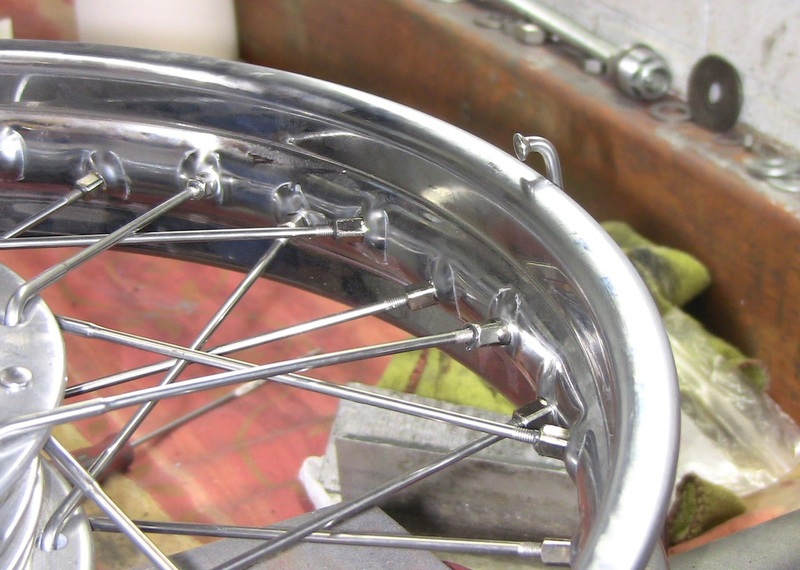 I built the wheels horizontally with an old spindle in the vice jaws.A spoke clamped at the perimeter shows the run out as the spokes are tightened. 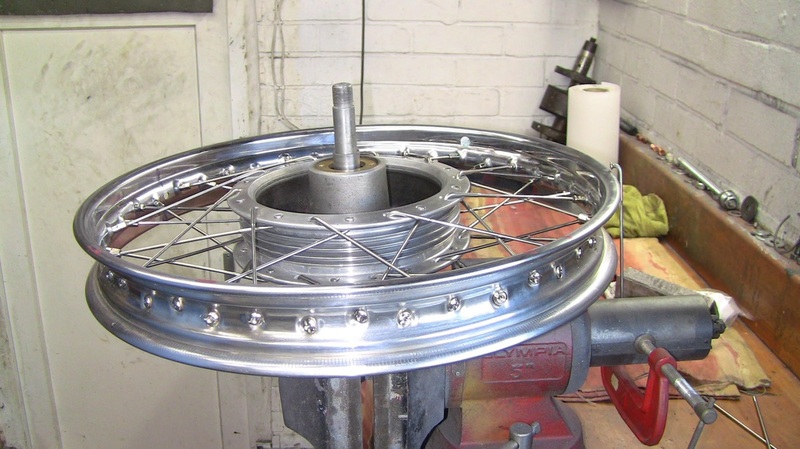 The wheels were then fitted to the frame with all the correct wheel spacers. 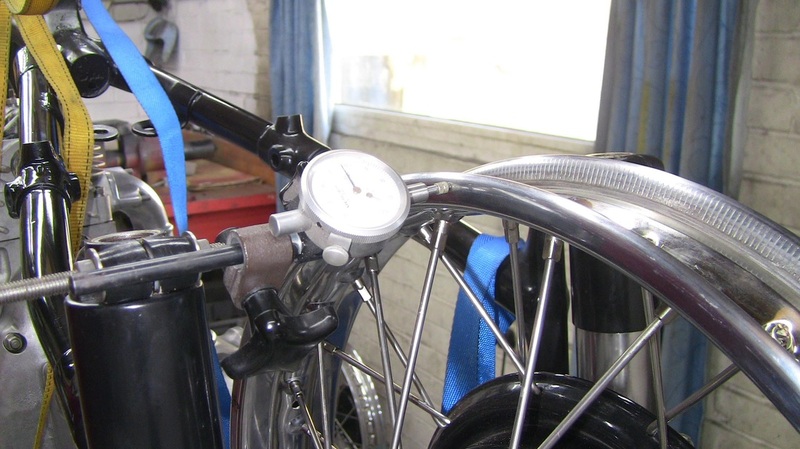 I then finished of the trueing and centreing with a dial gauge clamped to the frame and a pair of calipers. It takes time and patience. Dial gauge for final trueing.